Replacing your steps with new stone, brick, or pavers is easy with us. 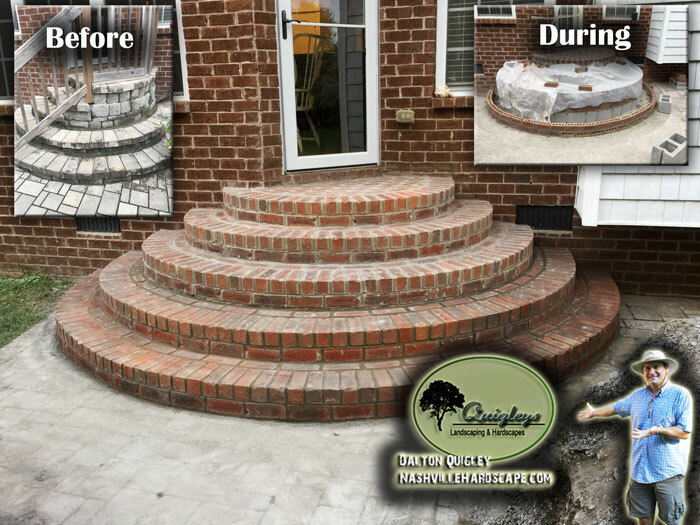 Quigley’s Landscaping a leader in building steps for your home. Welcome, we are Quigleys Landscaping. We provide Middle Tennessee with the most amazing, and affordable complete landscapes. One of our specialties is Hardscapes. You can have the beauty of georgous steps for a reasonable price. Get your steps renovated visit our Contact page. and is an example only of shape choices. Schedule a visit for steps ( Click Here ) by visiting our Contact Page. New Page – Patios – Photos of different Patio types. New Page – Fireplace – Photos of a design for an Outdoor Fireplace. New Page – Mailboxes – Photos of mailboxes made of stone or brick. New Page – Retaining Wall Repairs – Photos of a repaired retaining wall. This video below shows the process of installing a Flagstone patio. This video is how to sketch hardscapes. We build steps in the Nashville Tn area. We provide Hardscape services to the Metro area and surrounding counties. We service Green Hills Tennessee, Tennessee, Murfreesboro, Smyrna, Brentwood, Franklin, Hermitage, Leipers Fork, Thompsons Station, Belle Meade, Green Hills, Kingston Springs, Brent Meade, Oak Hills, Almaville, Fairview, Forest Hills, Nolansville, Mount Juliet, and these counties: Williamson County, Davidson County, Maurey County, Rutherford County, Wilson County, Dickson County, Hickman County, and Marshall County Tennessee. 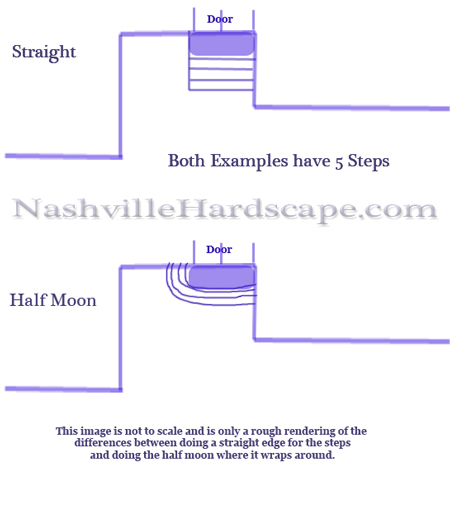 West Nashville, East Nashville, North Nashville, South Nashville, North, South, East, West, Nashville area, Hardscaper, nashville Hardscaping, backyard hardscapes.